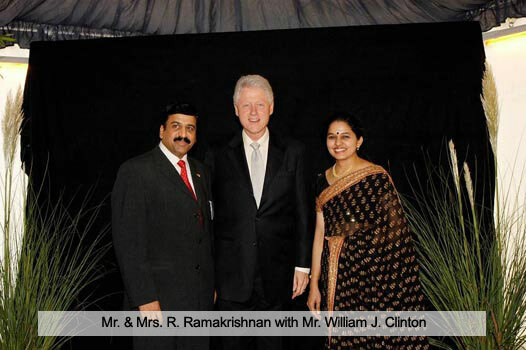 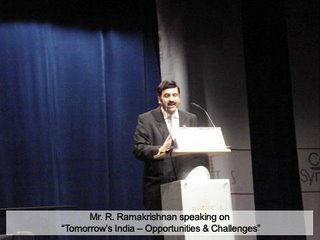 R. Ramakrishnan (82BMD), Executive President and COO, Bajaj Electricals was invited to speak at The Campus Symposium at Iserlorn, Germany on September 28 & 29, 2006 to a group of over 1000 German business leaders and Professionals. 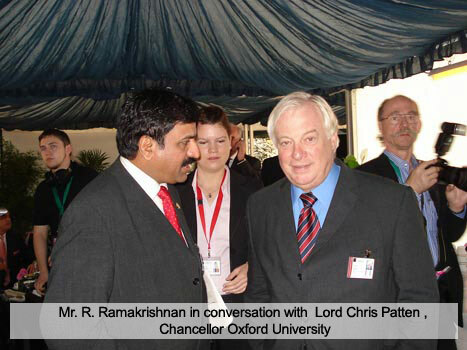 Ramakrishnan spoke on "Tomorrow's India - Opportunities and Challenges". Other speakers included Mr Bill Clinton, Lord Chris Patten of Oxford (Former Governor General of Hongkong) , General James L Jones of NATO, Mr Rudi Weyler of Audi, Mr Abdul Aziz Al-Ghurair of Mashreq Bank, Mr M. Rudiger , CEO of Credit Suisse , Mr R. Groger , CEO of O2 and the German Finance minister amongst others.